The proportions of the Bigboard (2015) are harmonious and follow with the curves one of the main features of the line WOGG LIVA designed by Benny Mosimann. Also characteristic of the entire line are the sliding doors that allow you to use the Bigboard as a fully or partially open or alternatively completely closed sideboard. According to its name, the dimensions of the bigboard are more generous than those of the Openboard or Classicboard. 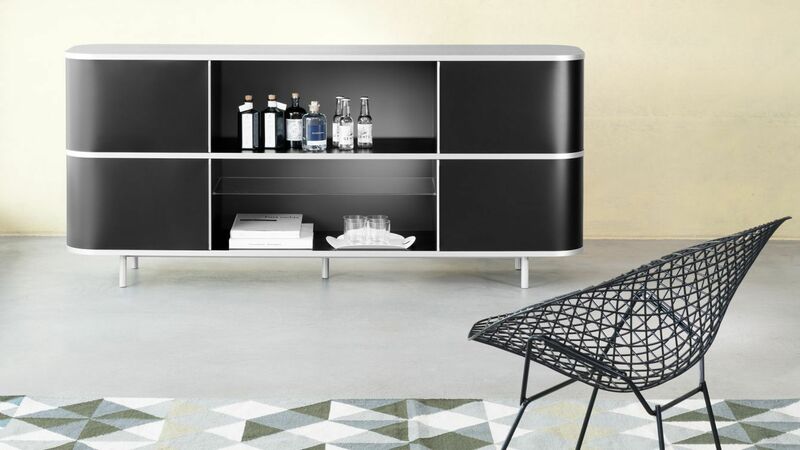 Compared to the other sideboards from line WOGG LIVA the sliding doors do not revolve around the whole furniture. 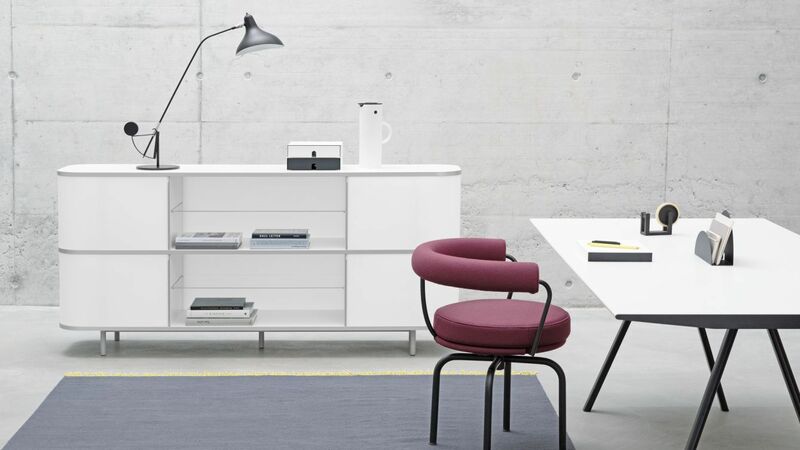 In the middle of the furniture, glass shelves and drawer elements with hanging files can be used, which complement the storage furniture functionally and equip it for the office area. 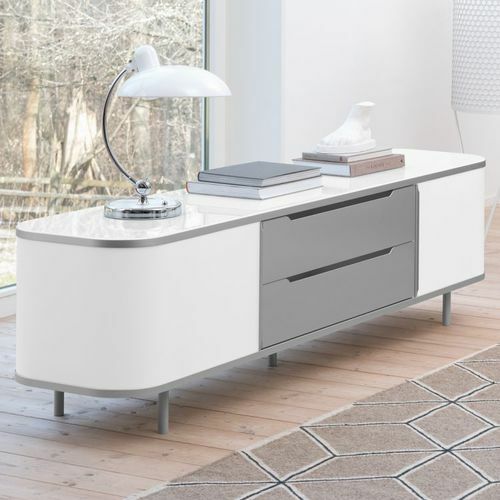 The sideboard is available in black or white and in three different heights. 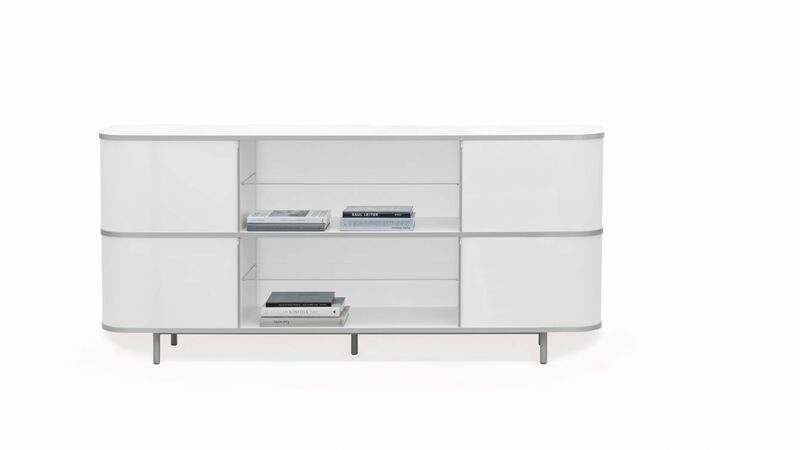 The profiles, slide handles, optional drawers and feet of the furniture are made of matt aluminum. The floors are made of black or white melamine as standard, according to the slider colors. For the cover you have the choice between melamine, ash veneer and glass. Please use the configurator to assemble the Bigboard according to your wishes.